Doctors at Children’s Hospital Los Angeles team up to solve the puzzle of a child’s vision problems. One ordinary, random morning, when he was barely 5 years old, Reiter woke up and “he was a different child,” recalls his mother, Stephanie. “I see two mommies. I see two daddies,” Reiter told his mom and his dad, Damien. What was wrong would turn out to be a puzzle that confounded a series of doctors and sent the family on a journey of scary and often contradictory diagnoses before they found their way to Children’s Hospital Los Angeles. One doctor the family saw early on in 2010 predicted that Reiter probably had a brain tumor and referred them to an oncologist. Another thought he might have a rare neurological disorder. At times, Reiter’s double vision seemed to go away, then return. Eventually, the family’s pediatrician, who had completed her residency at Children’s Hospital Los Angeles, turned to Eyal Ben-Isaac, MD, director of CHLA’s Pediatric Residency Program, and associate professor of Pediatrics at the Keck School of Medicine of USC. Ben-Isaac began researching Reiter’s symptoms. He saw why other doctors might have suspected a brain tumor (the double vision, abnormal eye movements). As he plowed through medical journals and textbooks, he narrowed down the possibilities in a process of exclusion. One potential diagnosis stood out: benign recurrent sixth nerve palsy, a rare condition affecting the sixth cranial nerve that often occurs after a viral illness (Reiter had had a cold.) Damage to the sixth nerve causes the eye to turn inward. Ben-Isaac couldn’t rule it out, but there are no tests to confirm it. In the meantime, ophthalmologist Talia Kolin, MD, took up Reiter’s case in The Vision Center at Children’s Hospital Los Angeles. An international referral center for children with complex eye diseases, The Vision Center is the only program of its kind in the U.S. with expertise in virtually every pediatric ophthalmologic subspecialty. Kolin became concerned that some of Reiter’s symptoms resembled myasthenia gravis, a neuromuscular disease that leads to muscle weakness. The most commonly affected muscles include the eyes and face. The disease can progress very rapidly and even affect the breathing muscles, increasing the importance of a quick diagnosis. With Reiter’s symptoms intermittent, the doctors decided the best course of action was to monitor him as he grew. “We needed more data and more time to follow Reiter and definitely figure out what he had and how best to treat it,” says Borchert. Gradually, Reiter’s crossed eye and double vision seemed to go away. 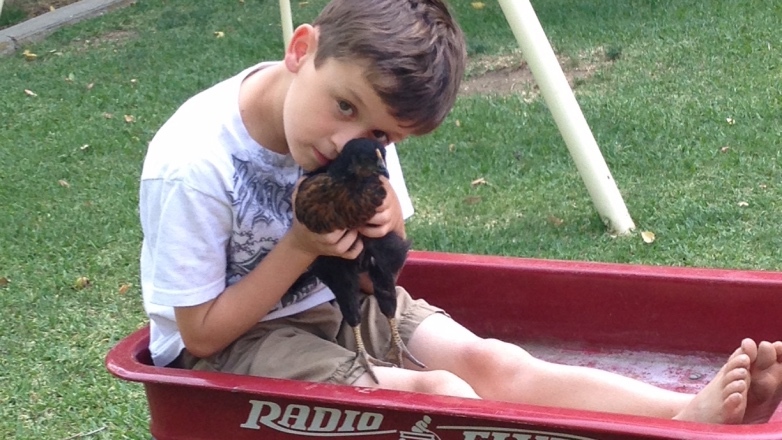 For about three years, he was largely symptom free. The family breathed a sign of relief—until this year. Reiter, now 13, told his mom that his double vision had returned. She immediately called Ben-Isaac, who once again turned to Borchert. Borchert is accustomed to diagnostic dilemmas like Reiter’s. “What I do every day is a lot of puzzle solving,” he says. 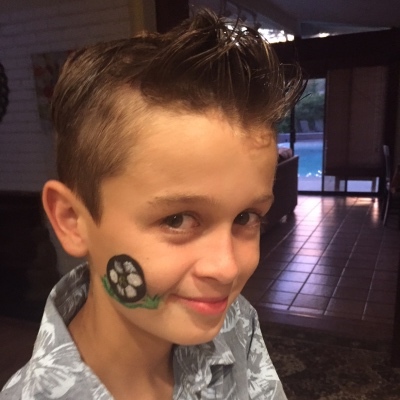 He immediately noticed that Reiter tended to keep his chin down, starting early in childhood, and now even while on the soccer field or boogie boarding. That told Borchert what he needed to know. He gave the family a new diagnosis: v-pattern esotropia, a form of strabismus, or crossed eyes, in which one or both eyes turn inward. “I didn’t have to be Dr. House to figure this out,” he says, referring to the fictional TV doctor famous for solving hard-to-diagnose cases. V-pattern esotropia isn’t rare, but what is uncommon is how well Reiter coped with it. Many kids with vision problems tend to ignore one problem eye and look through the “better” eye. Reiter, who has 20/20 vision, didn’t use that strategy. He used both eyes so well together, he kept doing that, but tilted his head in compensation. The good news is Reiter’s recent diagnosis of v-pattern estropia can be fixed with eye-muscle surgery. 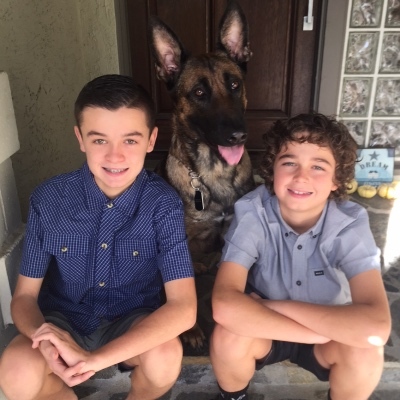 The date for surgery has not been set yet, but his mother and father are hopeful that when it happens, it will be the “end of the road” for Reiter’s vision problems. 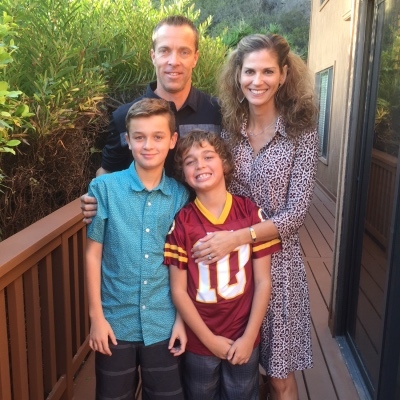 “We’re so grateful to the doctors at CHLA—for their expertise and their answers,” says Reiter’s mom. For now, Reiter is too busy tackling eighth grade and kicking winning goals to worry.